Liczba stron: 1 Jest to ujednolicona liczba stron, która ułatwi Ci porównanie długości książek. Każda strona Legimi to 200 słów. 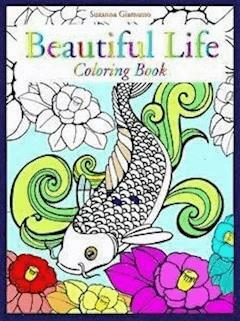 Appealing to all ages, “Beautiful Life” is the original book by Suzanna Giamusso.This beautiful coloring book features delicate and highly detailed pen-and-ink illustrations and they all waiting to be brought to life with color. The Illustrations are complex and intricately detailed, some with tiny details, most with small details and a couple with medium details , so Colored Pencils, Gel Pens, or Ultra Fine markers work well in this coloring book.